Made from 50% post-industrial scrap which is 100% recyclable. 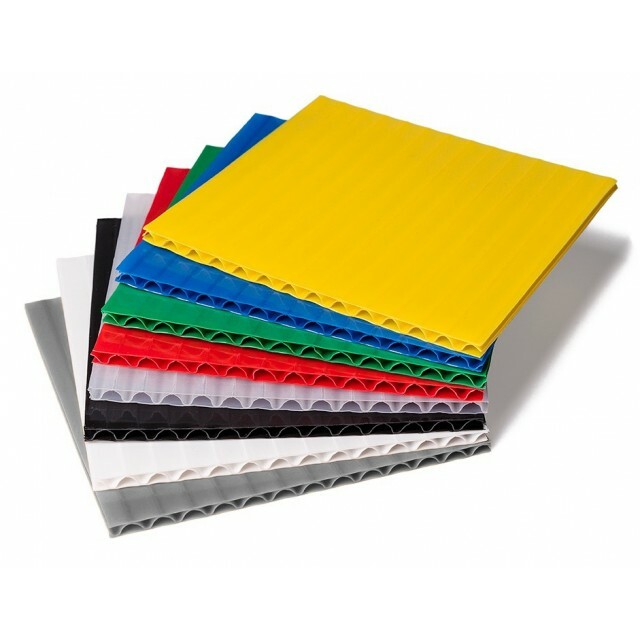 Corrugated plastic is lightweight and durable. The material is highly versatile, easy to work with and can be cut to size for any application. Double-faced corrugated plastic rolls have two strong layers of plastic, co-extruded with a corrugated plastic center core. The inner core consists of a waved flute that runs horizontally. 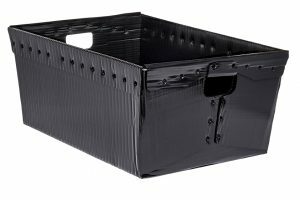 Plastic Packaging Solutions is the industry leader in the design and application of corrugated plastic. Plastic Packaging Solutions has been servicing their customers for over 55 YEARS and the ownership has spanned four generations. 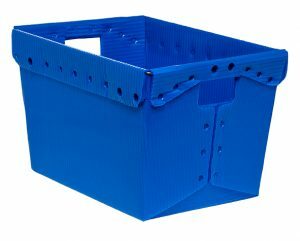 Corporate Headquartered in Phoenix, Arizona since 1957 Plastic Packaging Solutions Inc. has become an industry leader specializing in the design and manufacturing of corrugated plastic packaging, materials handling and point-of-purchase displays. Since first introducing plastic corrugated to the U.S. market in 1980 it has well proven itself to be a superior alternative to other materials used for packaging and displays. Our unsurpassed capabilities have allowed Plastic Packaging Solutions to fulfill the packaging and display needs of some of the largest companies and organizations in the world. This long list of customers represent almost every industry imaginable. 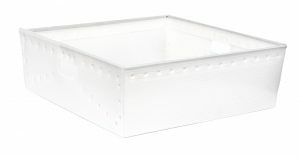 From aerospace to undersea products Plastic Packaging Solutions has fulfilled the requirements needed. Our solution-driven approach has earned Plastic Packaging Solutions the praise and respect of our clients by significantly reducing their long-term shipping and material handling costs. In addition to packaging and containers, Plastic Packaging Solutions’s expertise includes point-of-purchase displays and retail products. Plastic Packaging Solutions’s graphic printing capabilities are unparalleled in the industry with your choice of a simple 1 color print or complex 4 color process graphics. Plastic Packaging Solutions has the ability to reproduce your logo, photo or any graphic image to exacting specifications.